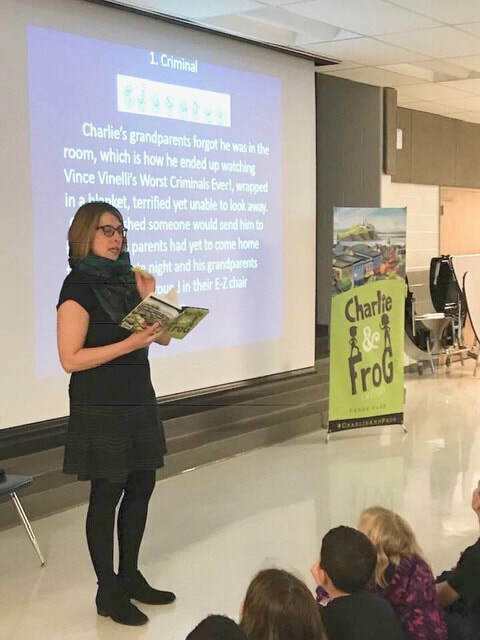 I love engaging with students in either spoken English or ASL about Charlie & Frog, my inspiration for the book, growth mindset and how it impacts me, the writing and editing process, etc. 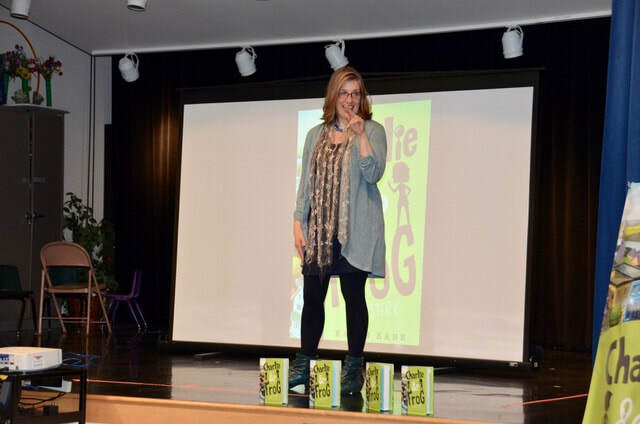 Please use the contact page to inquire about a school visit or a Skype visit. I look forward to hearing from you! "Karen is a natural storyteller. 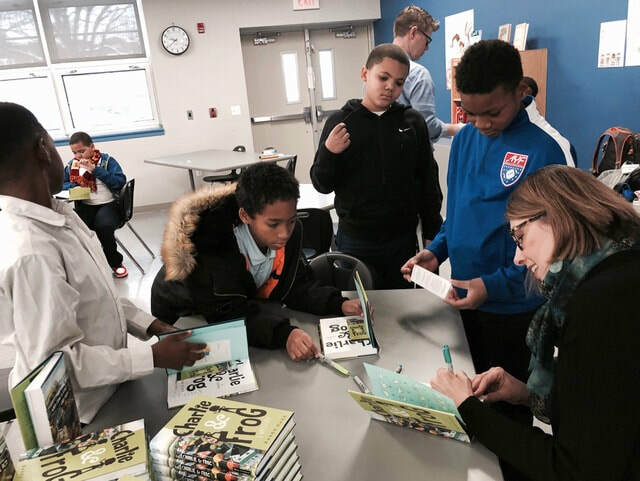 I've never seen a group of ten-year-olds settle in as quickly with a book as those 5th graders at Payne Elementary did with Charlie & Frog." "Thank you for coming to talk to our students! The boys listened with rapt attention and our library copy is constantly checked out. 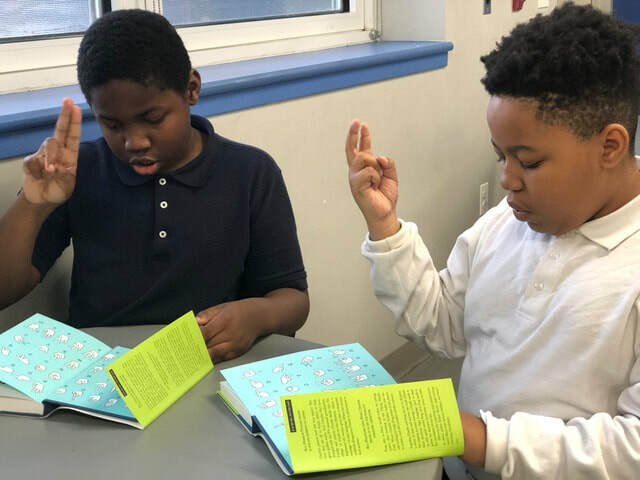 Your description of the book is riveting and we see a great number of the boys reading and discussing the book. 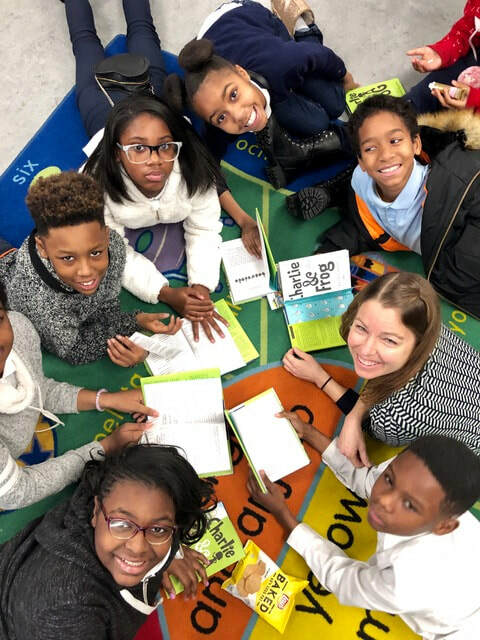 We enjoy using the "pay attention" and other signs that you taught us and we remind the boys of "growth mindset" you discussed when they face challenges. 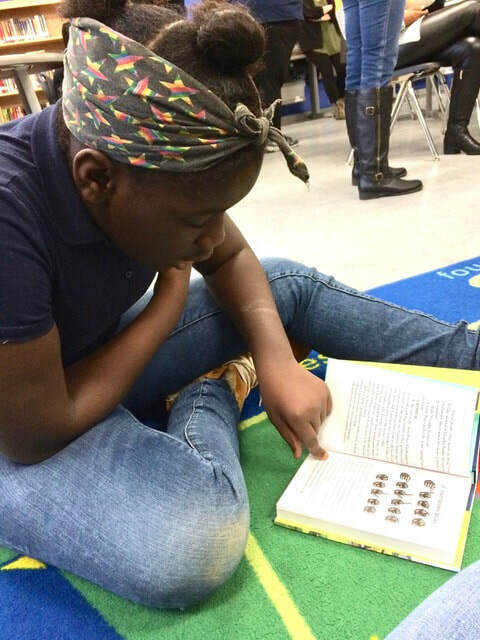 We are delighted to have had a chance to snag you and can't wait to read the sequel!"